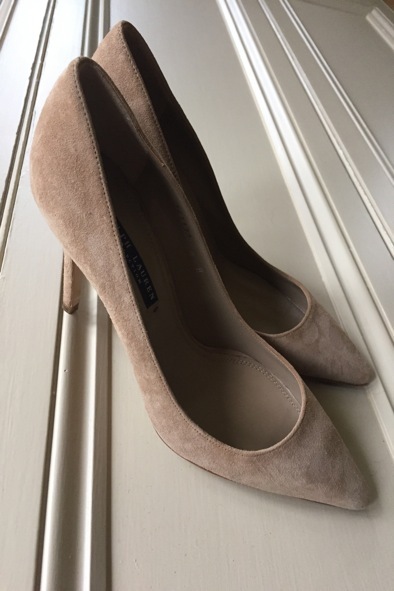 These beautiful stone suede heels by Ralph Lauren are a classic investment. They are new and come boxed. 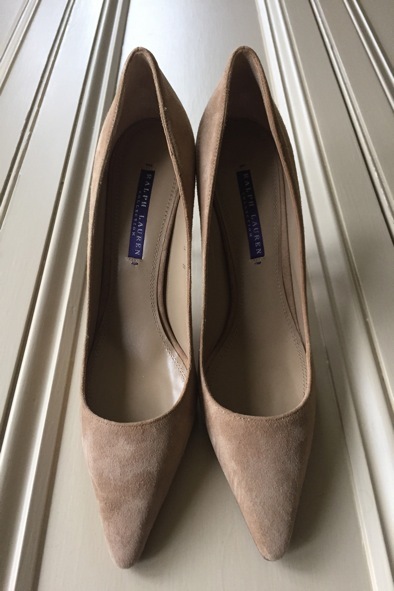 The shoes are a size 8B US which equates to a size 5.5 UK. 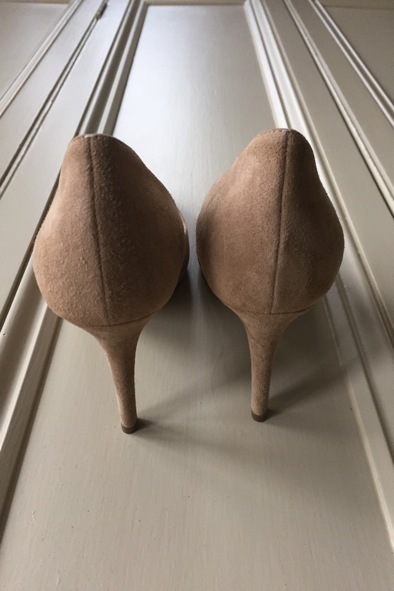 The shoes have a 3.5 inch heel and they are perfect for work and play. 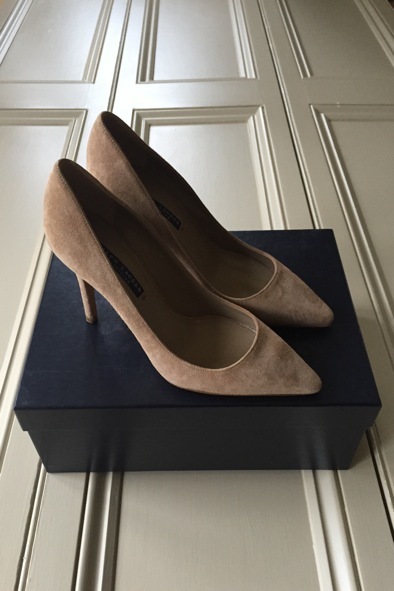 They originally retailed at £405 so grab yourself a style steal as they are now £115!